Only 10 minutes away by car, west of Palma, is the noble urbanisation Bendinat, one of the most preferred areas of the southwest. Close to this area are most of the international schools. Situated in the hills is the Royal Golf Club Bendinat. The 18-hole golf course offers a lot of variation and is very challenging. Various blind tee offs are necessary because there is no view at the green (www.realgolfbendinat.com). Beneath the golf course, at the coast is Old Bendinat, Illetas and Portals Nous. Illetas offers a nice sandy beach and became famous because of the “Anchorage Club” urbanisation at first line, designed by the architects of Port Grimaud, Cote d’Azur. 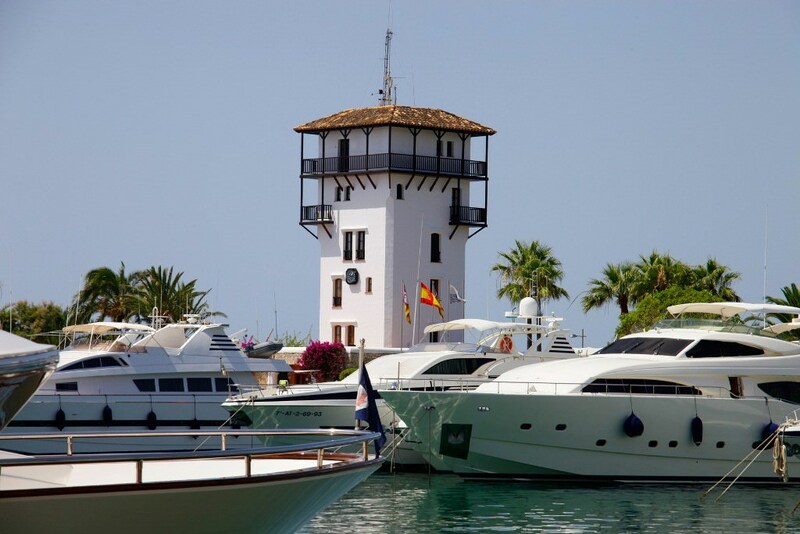 The exclusive marina Puerto Portals is also very well known. 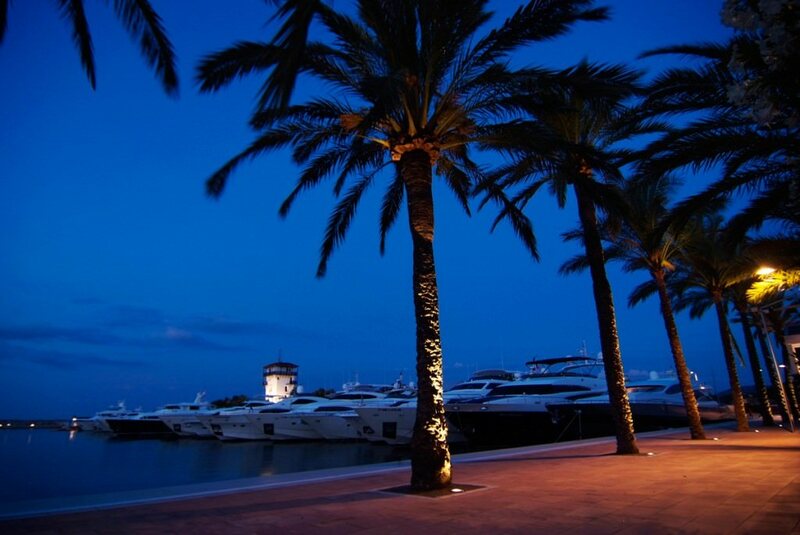 At the marina promenade you will find various good restaurants, shops and bars, their terraces offer views over the marina and the luxury yachts. One of the culinary highlights is the Michelin Star restaurant Tristan (www.grupotristan.com). Children can enjoy a day at “Marineland” watching the dolphin show (www.marineland.es). 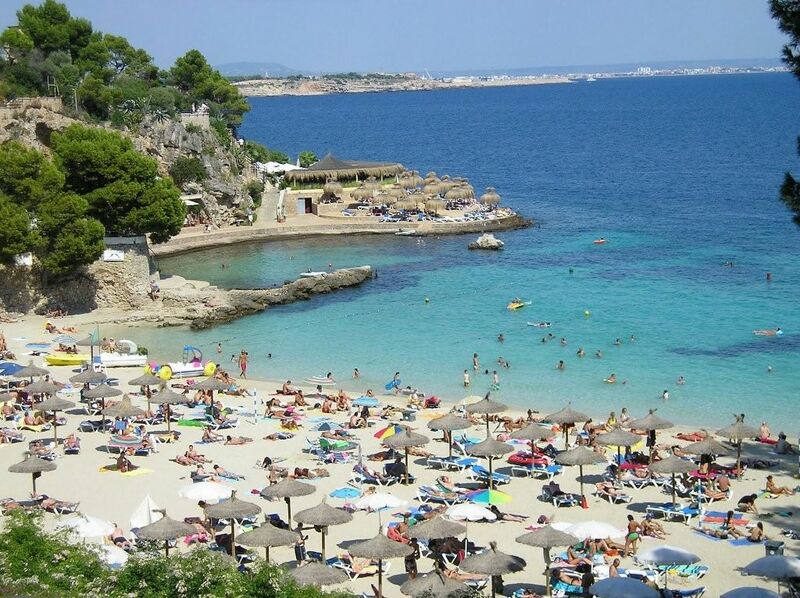 Urbanisation “Golf Santa Ponsa” is surrounded by 6 kilometres of coastline. Well known because of the best quality, good infrastructure, villas and plots, 3 golf courses Santa Ponsa I, II and III, as well as the marina and the beaches. 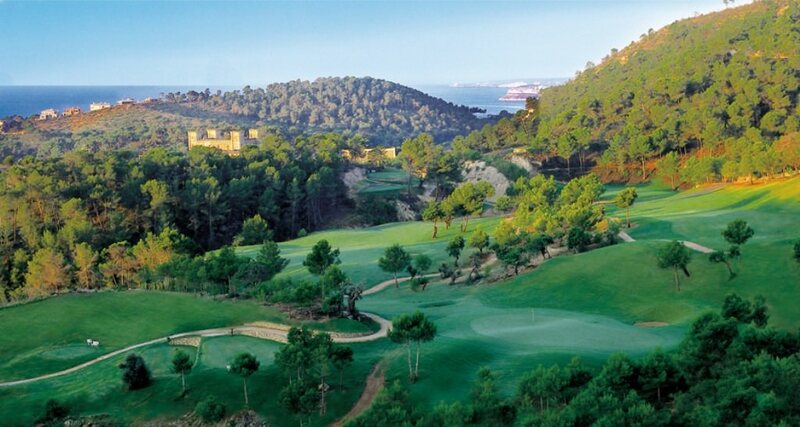 The golf course Santa Ponsa I first started in 1977 and measures 6.543 meter Par 72. This large and wide golf course has long drives and water obstacles, ponds, olive trees, pine- and almond trees. 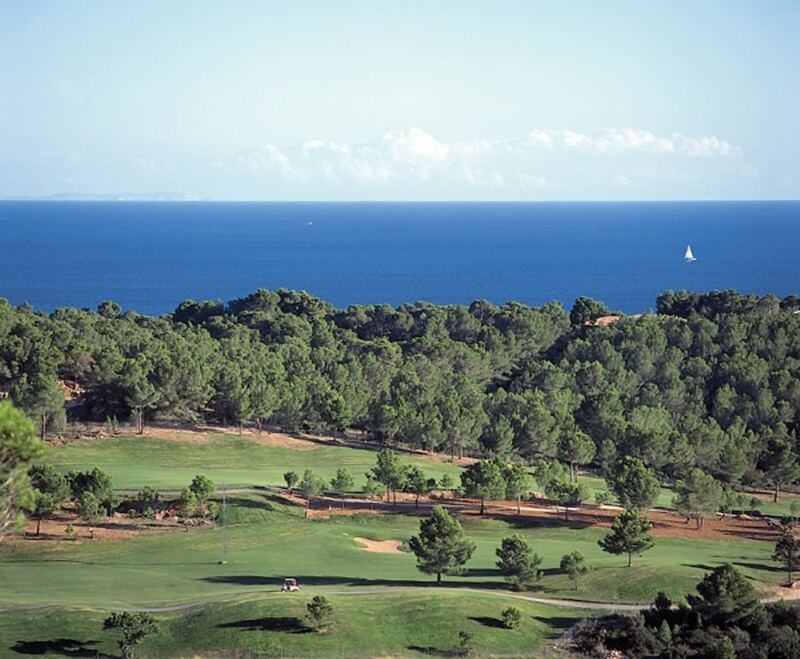 December 1991 the golf course Santa Ponsa II opened with 6.052 Meter, Par 72. A large part of this course is in between a pine tree forest, surrounded by large ponds. 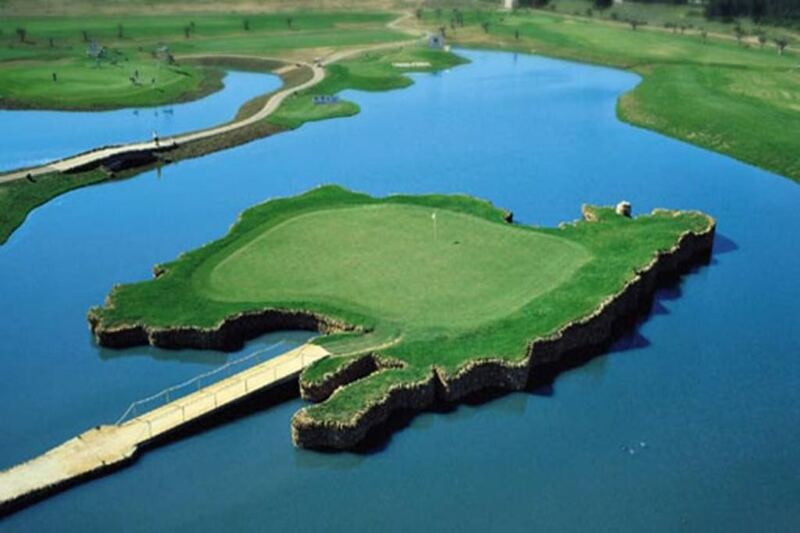 Very interesting is hole 18 (Par 3) because the green is on a little island with the shape of Mallorca. Santa Ponsa II also offers golf classes, large driving range and putting greens. This course is only available for club members. The 9-Hole golf course Santa Ponsa III opened in January 1999 and offers a length of 1.599 Meter for Gentleman and 1.332 meter for Ladies Par 30; this course is ideal for beginners and players who want to practice and secure the short game (www.habitatgolf.es). 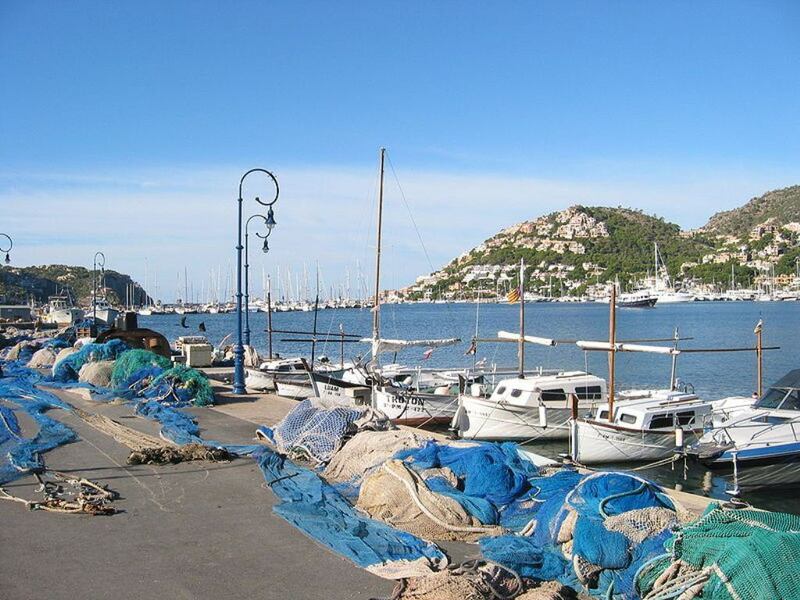 Another highlight in the south west is Port Andratx, with the well known natural port “Puerto Andratx” this idyllic small fishing port became one of the most picturesque ports, where mass tourism luckily passed by. The promenade offers many good restaurants, shops and bars. The hills around the port have been developed with prestigious villas and estates, all with spectacular sea view, and mainly bought by foreigners. Golf de Andratx is next door in Camp de Mar, beside the challenge of the course, there is the challenge of the good Italian restaurant “Campino” and the first class pro-shop “Lifestyle Pur” (www.golfdeandratx.com). 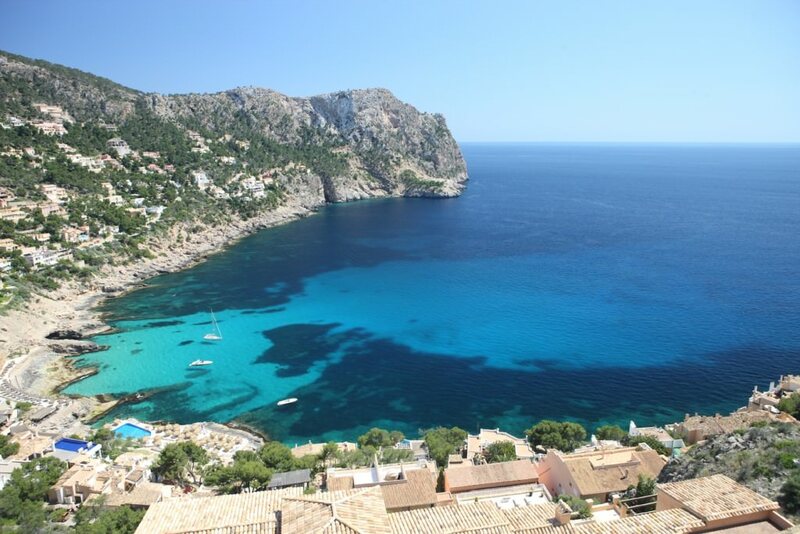 Close to the urbanisation Nova Santa Ponsa is El Toro with the new designed marina Port Adriano, this new development has moorings that allow yachts up to 60 meter. The development of the dry dock and the promenade with restaurants and shops are designed by Philippe Starck. Elegancy, Esprit and minimalism attract the international clientele and yacht owners with their crew (www.portadriano.com). The marina also offers a sailing school and a diving school. December 2011 opened the new restaurant “Sansibar” well known from the island Sylt (Germany) and famous for the wine list.